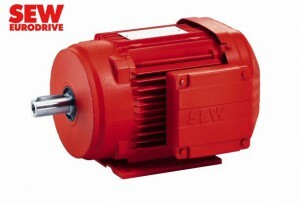 Bag Sewing Europe provides and suggest on demand German Sew Eurodrive motors for use with our equipment (Sewing heads, pedestal) such as: Newlong Ind. DS-9c, Union Special BC211, Fischbein Empress 100 and other pedestal mounted sewing heads. SEW-Eurodrive is a German manufacturing company founded by Christian Pähr in 1931 as Süddeutsche Elektromotoren Werke. Today, it is an international organization that manufactures geared motors, frequency inverters and servo drives.